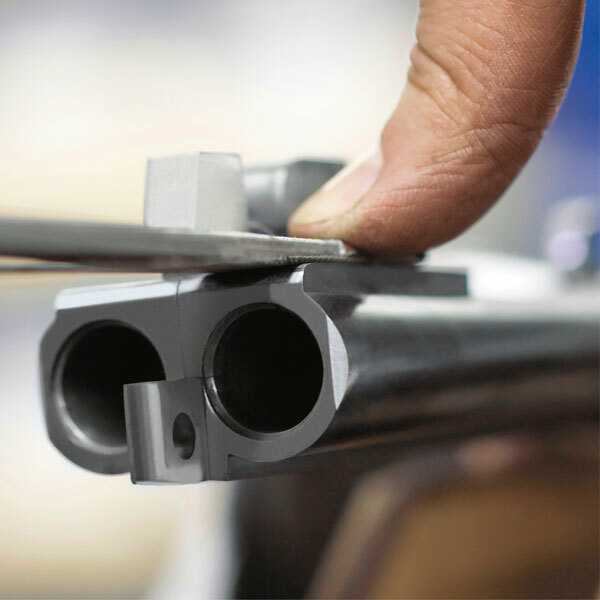 Merkel is one of the very few hunting gun manufacturers in the world that makes its own gun barrels. 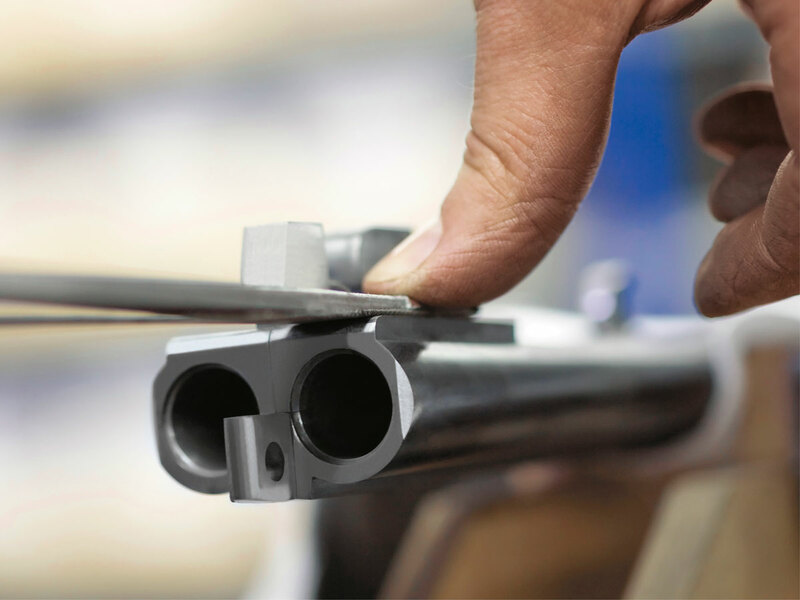 What is more: many renowned hunting gun manufacturers in Europe place their trust in Merkel and buy their shotgun and rifle barrels from the Suhl manufactory. The hammer mills are the heart of the Merkel manufactory. Two elaborate cold forging machines process steel for the barrels of MEM and Meisterstück guns. The barrel blanks are made of hardened and tempered, high-strength chromevanadium or chrome-molybdenum steel. 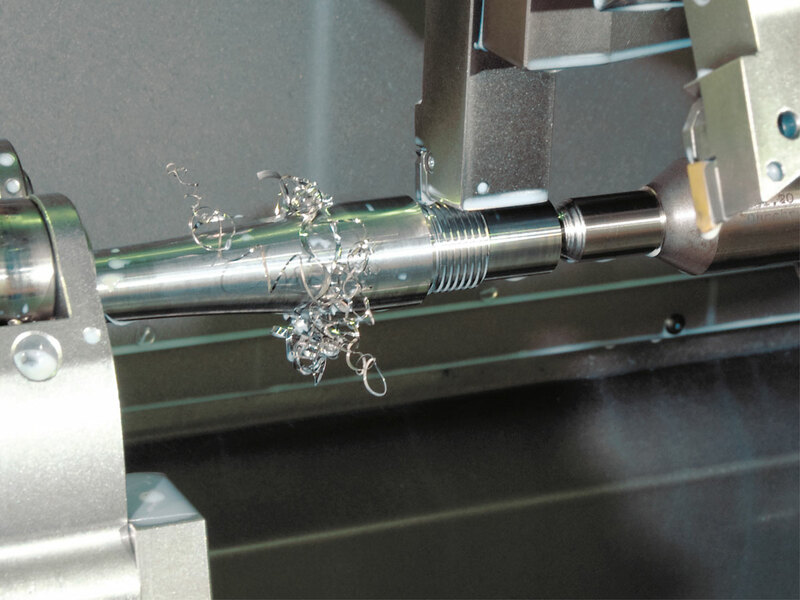 This process produces barrels with calibre diameter tolerances of under 15 thousandth of a millimetre. The barrel blanks are hammered into shape by the four hammerheads of the cold forging machine with the force of four times 1.25 million Newton – equivalent to four times 125 tonnes. 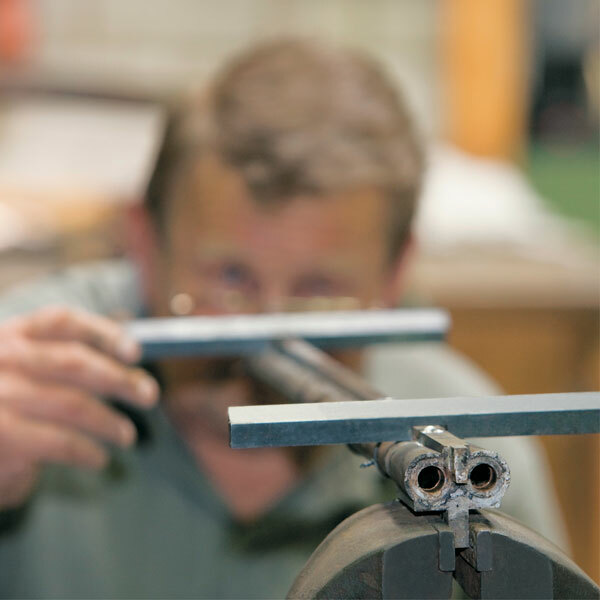 A plug gauge is inserted into the barrel blank, which bears the negative profile of the fields and grooves – and transfers these to the inside of the barrel during the forging process. The result is cold forged barrel as opposed to a conventionally made barrel. Characteristic of Merkel barrels is the tapered form: the barrel narrows from the receiver to the muzzle by approximately ten thousandth of a millimetre. This prevents premature wearing of the barrel and enhances the precision of the shot. Merkel cold forging is based on four key technologies: deep-hole drilling, grinding, honing and annealing. Once the hole has be bored the grinding and honing follow, which produces extremely smooth inner surfaces in readiness for forging. 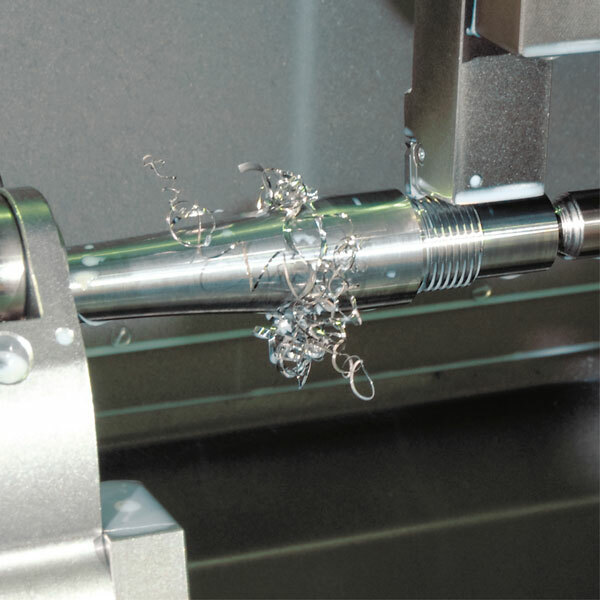 These technologies, which are used in engine construction to finish the sliding surfaces of the cylinder, smooth the Merkel barrels to two thousandth millimetre exactitude, significantly increasing the service life and the precision of the barrel. 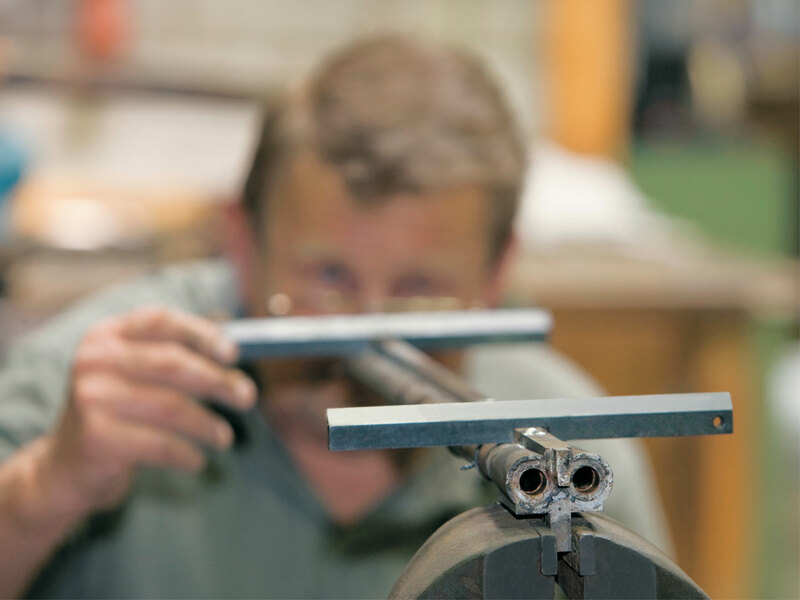 Forging is followed by stress-free annealing in a vacuum furnace. Inevitable stresses build up in the steel during forging, which are dissipated by this heat treatment over a period of several hours.